To ensure the very best customer service, they provide high-quality doors, gutters, roofing and windows at an affordable price. There are no hidden fees as they believe in an honest buying process and do not withhold any information, giving you the freedom to make the choice that suits them best right from the get-go. Rite Window also has a financing option that helps customers find the best plan without having to dig into savings or relying on big loans to cover renovation projects. The Rite team are highly skilled and experienced -with a post-installation service team whenever an unforeseen event happens. They also include a lifetime warranty on all products and installations. Awning windows are a popular choice for homeowners as they offer an unobstructed due to the outward opening from the bottom method. This method of opening also allows for optimal ventilation, reducing heating and coo4ling costs. Bay windows have a neat outward design, creating more space on the inside of your home. Consisting of three sections at a 30- or 40-degree angle, creating a cozy area for plants or ornaments to be displayed in. Each section consists of double hung, casement or picture windows. 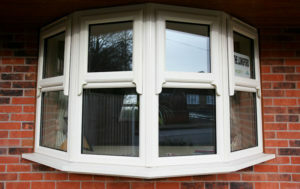 Bow windows are similar to bay windows as they also have an outward design. The difference is that bow windows consist of three to six sections instead of the three sections of the bay windows. Each section consists of double hung, casement or picture windows. Casement windows are an outward opening, side-hinged window that makes use of a cranking mechanism for opening and closing. These are a favorite amongst homeowners who enjoy a top-to-bottom window that gives a lot of natural light and ventilation. Double hung windows are a preferred choice in the Greater Boston area. The two sashes of the double hung windows are easy to clean and gives excellent ventilation. Garden windows have a unique style to them, usually accompanied by a shelf in the middle. These windows are ideal for kitchens because of its spectacular view and have a greenhouse effect for plants and herbs to grow inside. Hopper windows are predominantly used in basements. They have a hinged design opens inwards. Typically basements have a single panned window which does not do much when it comes to insulation. Hopper windows come with heat and cold insulation that gives you better control over the climate inside of your basement. Picture windows are unobstructed windows that give amazing lighting inside of your home. These are ideal for big rooms that require lots of natural lighting. They also, offer great insulation giving you more control over how warm or cool your home has to be. Slider windows are a popular yet unique choice for a lot of homeowners. They slide back and forth horizontally and easily lift out of it track for cleaning and maintenance purposes. 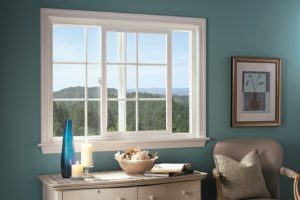 All Rite Window products come with Energy Star certified energy-efficient windows. Energy-efficiency means that these windows are all insulated so that HVAC systems do not use as much electricity to maintain desired room temperatures. This, in turn, saves you money on heating and cooling bills and also means you are doing your part for the environment as well. Rite Windows uses vinyl windows that go hand in hand with the Energy Star certification. Vinyl windows use foam wrap, multi-fin weather seal that keeps rooms at desired temperatures. These also come in custom sizes and colors that give you a big variety to choose from. They are easy to maintain and have a heavy duty design which gives you the guarantee that they will last a lifetime. Speaking of a lifetime, Rite Window vinyl frames and sashes come with a lifetime guarantee. The vinyl finish on the window frames warrants that they will not crack, blister, peel or discolor and gives service for as long as you own your home. There is also a fifty-year warranty on the glass unit and on glass breakages. If there are any problems with dust collection on the interior of the glass unit or in the event of a glass breaks, they have you covered. If you live in eastern Massachusetts and southern New Hampshire areas, Rite Windows is the place to go. Whether it is windows, doors, gutters or roofing, they have it all at an affordable price. Rite Window ensures high-quality products to suit every need and have warranties and even a financing option.